maintain your beautiful lashes looking their best. * Typically removing of eyelash extensions takes no longer than 30 minutes. However, if you had the initial application elsewhere – 30 minute mark is no guaranteed. and they are going to go quickly!! NIKI & RICKY JOIN MAC VIVA GLAM!! Niki is paired with Ricky for this campaign! Ricky Martin is promoting a Viva Glam lip conditioner! ANYone can use this product- men and women alike 🙂 Its fabulous! Go online to shop today!! FREE Shipping all weekend! 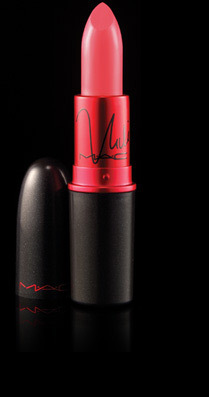 EVERY CENT of all Viva Glam products go towards helping Men, Women and Children living with and who are affected by HIV/AIDS. Go behind the scenes with Nicki and Ricky as they shoot the new M∙A∙C Viva Glam campaign with legendary lensman David LaChapelle. Miss Piggy is at MAC!!! 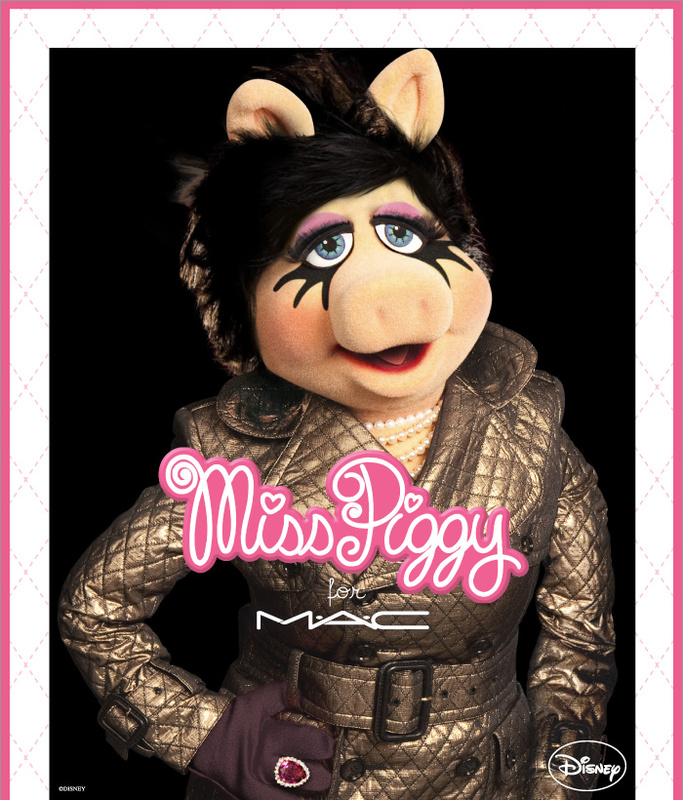 Glamour goddess Miss Piggy is sharing her beauty with the world via MAC Cosmetics! 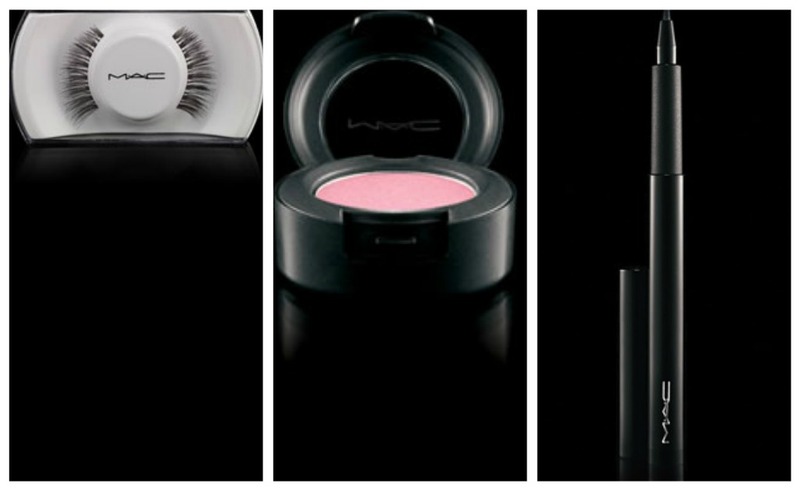 To celebrate the supremely talented Miss Piggy’s return to the silver screen, she and MAC have created a limited edition, online-exclusive collection for Eyes featuring Miss Piggy Pink Eye Shadow, Penultimate Eye Liner in Rapidblack and lash 36. ~Sidenote~ One of mine (and Lyn’s) most FAVOURITE lashes of all time!!! They are full, they are long, they are LUSCIOUS!!! * This is a pen style liquid liner. I have used it in the past and the felt tip actually gives a really nice soft line, unlike most harsh liquid liners. With the longer handle it is comfortable to hold (just like a pen), and easier to get a precise, straight line. I will say though….it dries out quite a bit faster than a liquid liner in a pot/tube, however, it is a better alternative to the flimsy, bristle-y brushes that come with most liquid eyeliner!